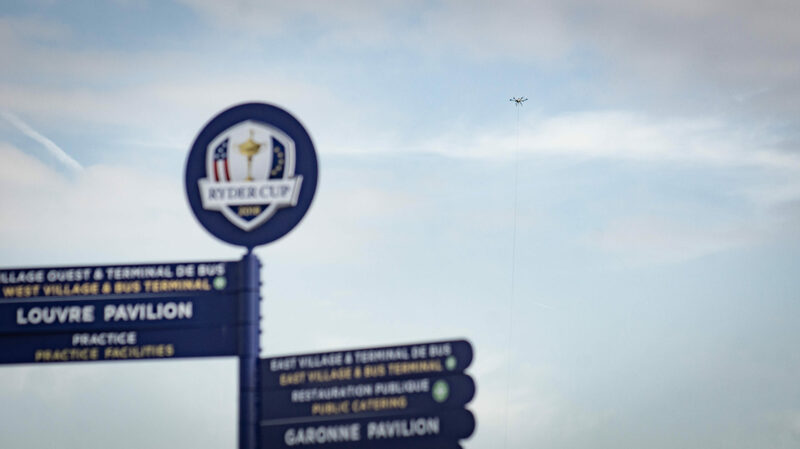 A tethered drone built by Elistair was used by the French authorities to ensure continuous aerial surveillance of one of the biggest international sport competitions, The Ryder Cup 2018 held in Paris from September 25 to September 30. « This is not golf, this is the Ryder Cup ». Every two years, the Ryder Cup gathers 24 of the world’s top golfers from the United States and Europe. The competition is internationally renowned for its exciting level of Golf, as well as for its large media impact with over one billion television spectators in 200 countries. 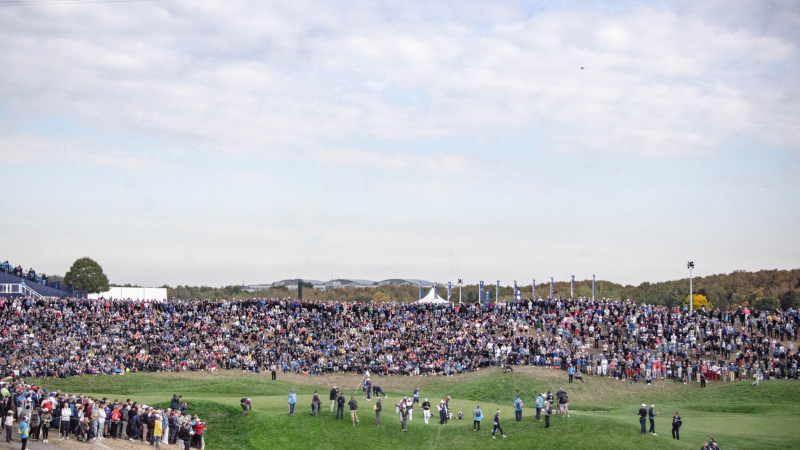 This year, the 42nd edition held in Paris at Le Golf National next to Versailles, delighted 300 000 live spectators over six days with extraordinary performances, incredible players and prestigious attendees. Tasked with securing 193 hectares, 50 000 visitors per day, international international personalities such as John McEnroe, Samuel L. Jackson, Michael Phelps and Tiger Woods to mention just a few; the French authorities in charge of coordinating the security arrangements drew on a range of resources with 800 police officers, security forces, firemen, police dog teams and anti-drone technology deployed. A safe and permanent Eye in the sky covering 193 hectares, with minimal logistical footprint. 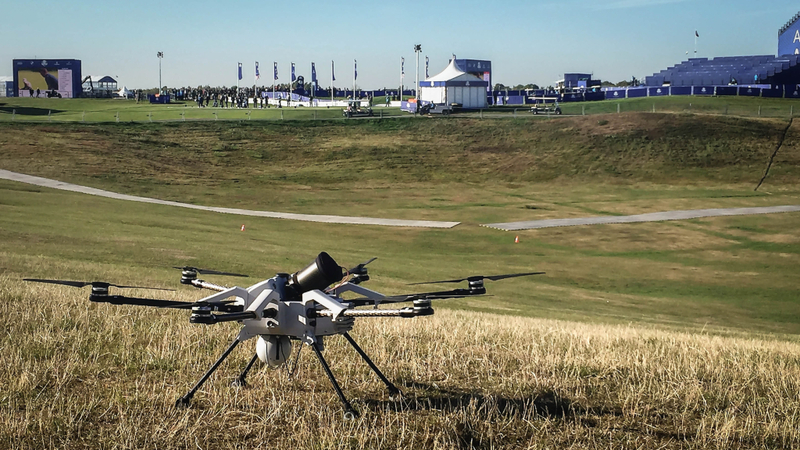 From Thursday to Sunday, the Orion drone flew continuously during daylight hours, 8 to 11 hours per day, watching over the 300 000 attendees of the Ryder Cup. The Orion was tethered to the ground which ensured continuous power supply, secure communications and physical safety of the drone. The live imagery from its day/night camera was broadcasted to the main control room, providing situational awareness to commanders for quick decision making. The control room had on demand access to aerial views of the entrance, greens, stands and the perimeter. 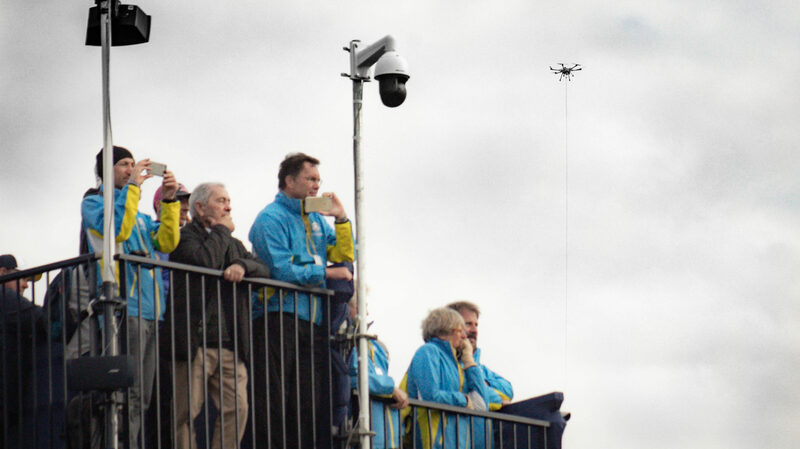 This allowed the security forces to prevent intrusions, detect incidents as well as monitor crowd movements.